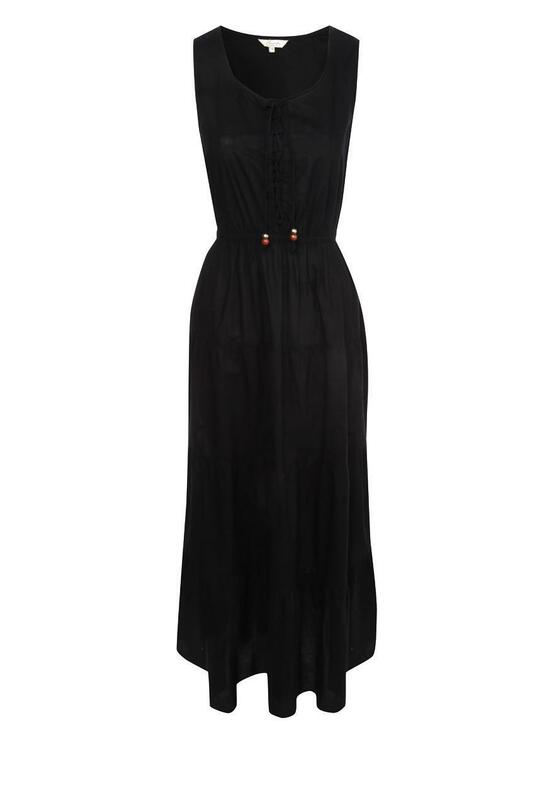 No wardrobe would be complete without a black dress and this gypsy maxi style is a great twist on the classic LBD. Gathered at the waist and with a corseted front panel that ties at the top, from the way it hangs to its famously forgiving colour, this is one dress that's flattering in every way imaginable. Peacocks has a great selection of women’s fashion maxi dresses online.